This guide will teach you the basic functions that you have under the 'Employee' access level in Deputy. 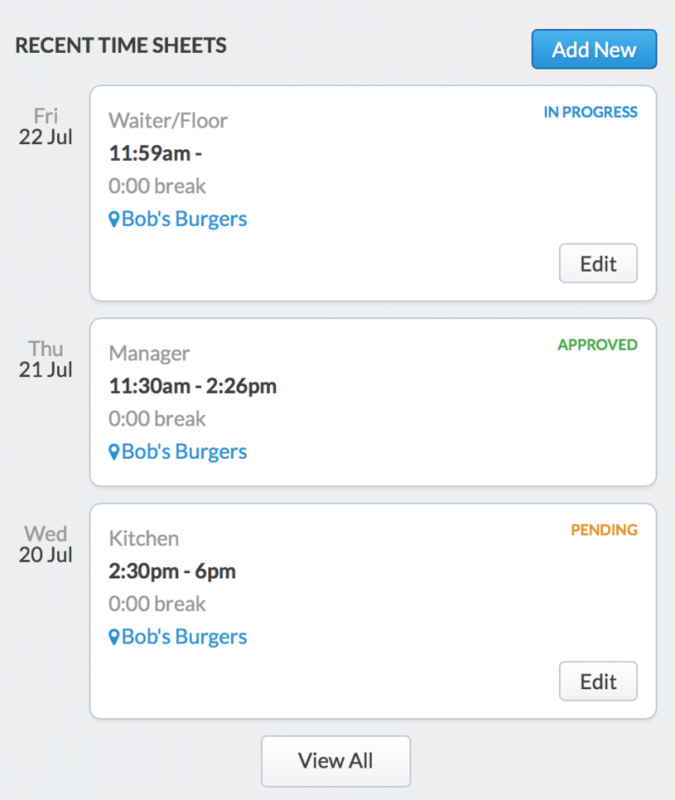 Deputy is a simple system used to record timesheets for your employers. 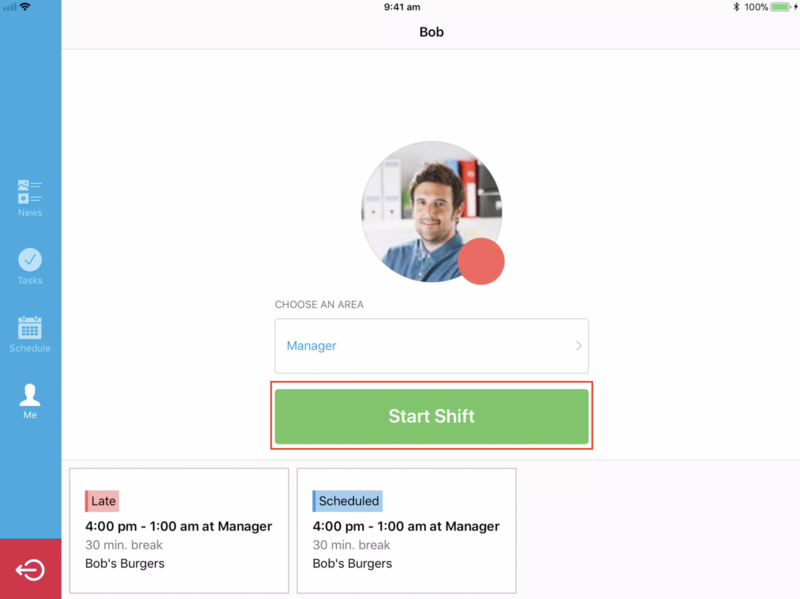 We’ve created an easy-to-use application that allows you to start and end your shifts. Deputy is a robust platform accessible in numerous ways. We offer free applications for web browsers, iPhones, Android phones and iPads (as a Kiosk option), as well as being fully accessible on the web. We’ll explain below how to access each. While we do not offer an app for Blackberry and Windows phones, you can still access all of Deputy via their respective mobile browsers. We’ll explain below the various ways you can access Deputy. When you click the link in this email, you will be brought to a page where you can either create a new Deputy account, or log in with an existing account. You can log in to Deputy here. Remember to bookmark this page for easy access. Use the email address associated with your account to log into your Deputy account. 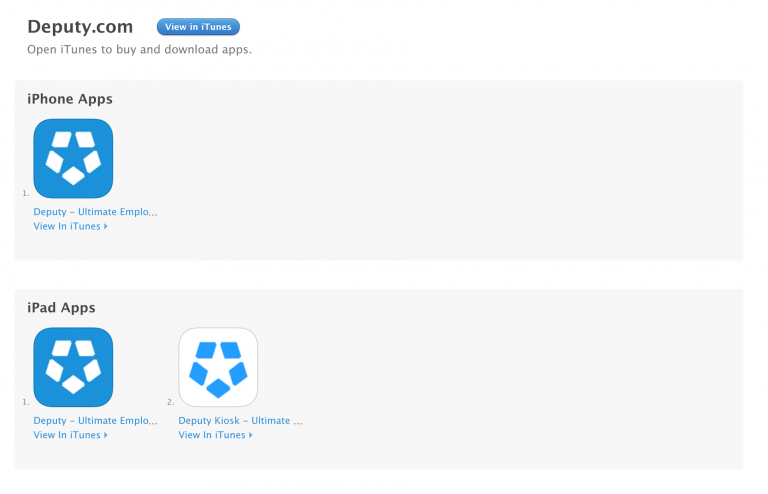 Deputy has an iOS app that can be downloaded from the App Store. You can find it at https://itunes.apple.com/au/app/deputy/id477070330?mt=8 or simply search ‘Deputy’ in the App Store. Deputy also uses an iOS Kiosk app for the iPad (iOS8 and higher), which is used for clocking in and out at the work location. 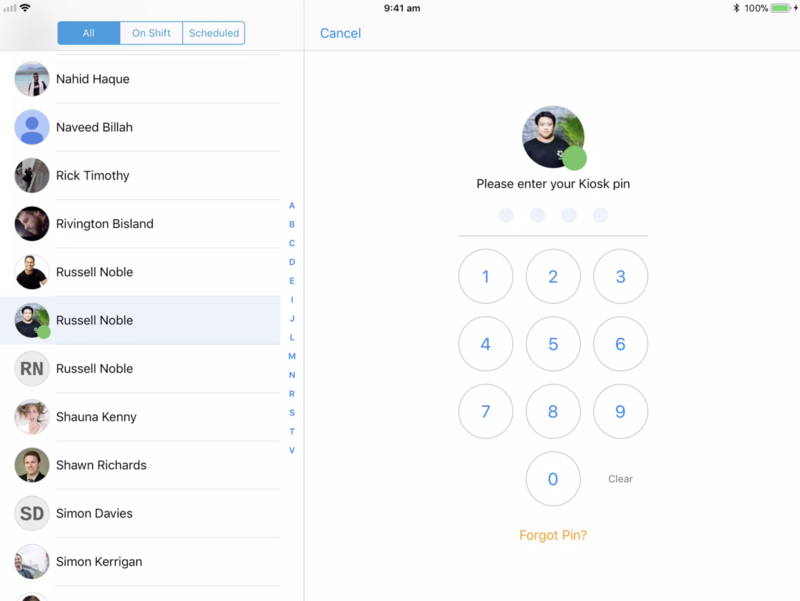 The Deputy iPad Kiosk app requires a PIN to access your account and start/end your shift. Your PIN was included in the Deputy invite email. 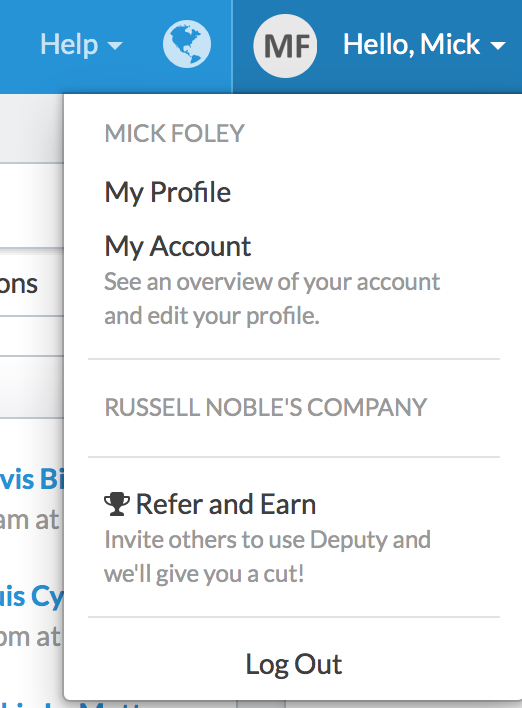 You can also find and change your PIN in your Deputy profile. Note that the Deputy iPad Kiosk app will take a photo of you when you start and end your shift for timesheet verification purposes. Deputy also has a Time Clock app for Android tablets. 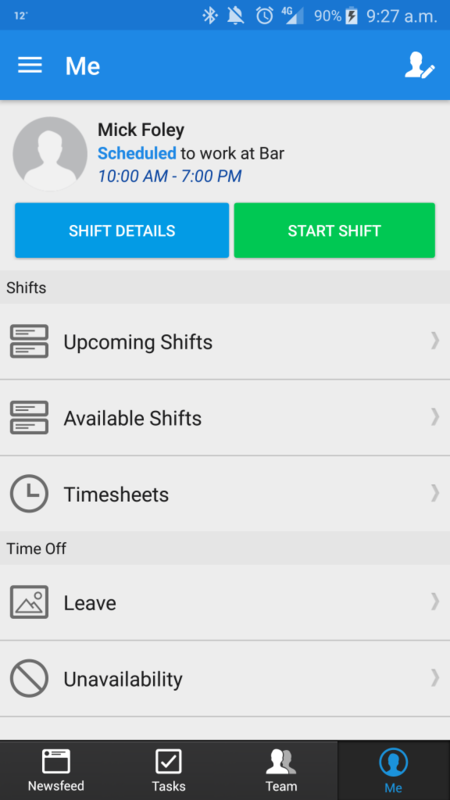 This app allows you to start/end your shifts and breaks. You can download it here. You can download the Deputy app for Android phones here. While the web browser, iOS and Android Deputy apps look slightly different, the layout is similar. We’ll walk you through what each of these mean. The Me tab is the first thing you’ll see when you log in. This is an information hub that will give you a seven day overview of your shifts, the amount of hours you’re scheduled for in the week, and depending on your workplace let you see who you’re working with. You can also apply for leave and add unavailablities here, which will be explained later. From this screen, you can start and end your shift by clicking the ‘Start Shift’ or ‘End Shift’ button in the top right corner. You will also be notified if you are late for you shift, as indicated in the image above. The News Feed is a central communications hub accessible for everyone. While it can be used for announcements, you can also send News Feed posts to individual employees. Announcements will also be sent via email. To create a post, click the blue ‘Create Post’ button in the top right corner. You just need to click the ‘I Confirm’ button, which will notify your managers/employers that you’ve read the News Feed post. 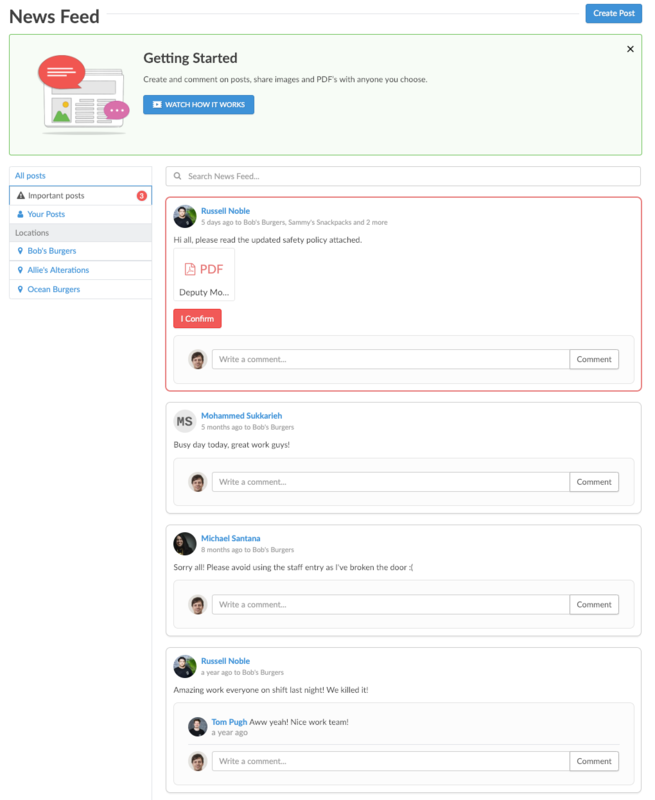 The Tasks page lists all of your assigned tasks. Tasks can be assigned by managers, or you can assign yourself a task as a reminder. To mark the task as Completed, just click the checkbox next to the task. The Locations page provides a list of the places your are employed in, along with the address of the business. It will list all the locations if you work at multiple locations, provided it’s been entered as such by the managers. 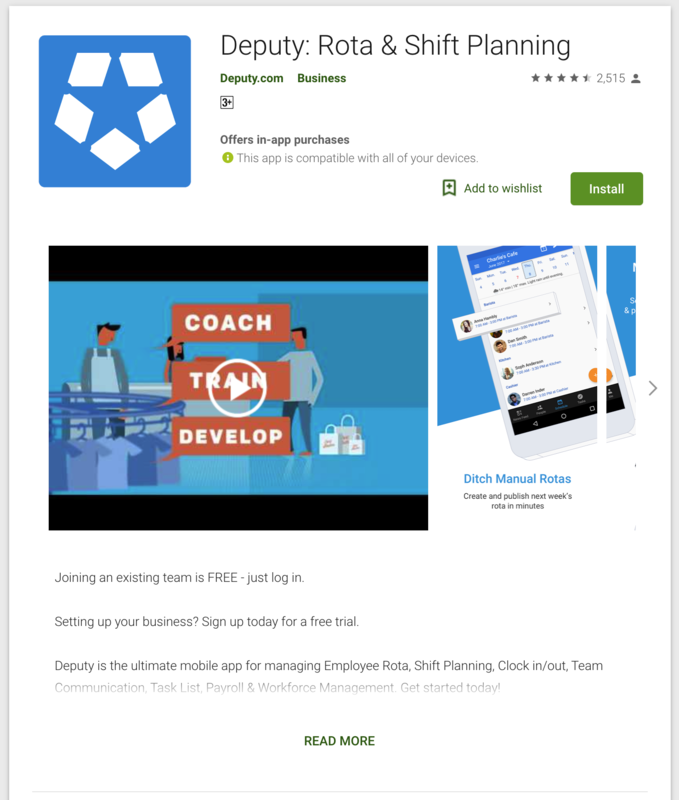 If you click on the Location Address, a pop-up will appear with the location of the business marked by a pin on Google Maps. We’ve made timesheets easy. Deputy lets you log your hours in a number of ways. You can use your smartphone, a web browser, or if your manager has set it up, an iPad. Please note that the instructions below are applicable for the iOS Kiosk and the Android Time Clock. Some employers may have it set so that it takes a photo when you clock in via the Kiosk/Time Clock app. This is just to ensure that you’re actually there and working the shift, instead of getting a co-worker to clock in and out for you. Ending your shift works exactly the same way! You can also start your shift via web browser. 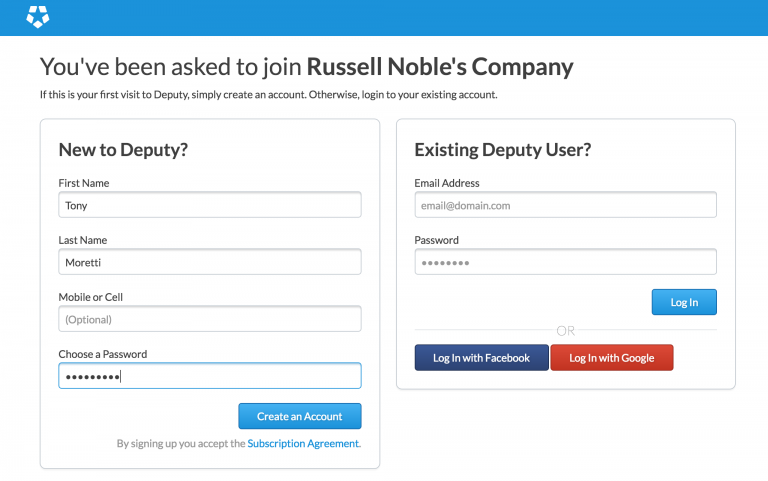 To do this, log into Deputy at once.deputy.com. Make your way to the ‘Me’ page. On the left side, you will see your scheduled shift details. Click 'Start Shift' to begin your shift. Much like the web browser version, the iOS and Android applications are simple to use. All you need to do is head over to the ‘Me’ tab. Your shift details will be displayed, as well as a ‘Start Shift’ button. Note that your employer may need you to have Location Settings/GPS turned on (you can do this in your phone options). This is to ensure that you are starting your shift at your work location. Note, we do not continuously track the location of the users. The location is only captured at the start of a shift, start/end of a meal break and at end of a shift. There are many ways to check when you’re working next. 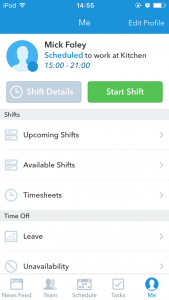 You can check on the ‘Me’ tab on the web browser and smartphone apps and it will display your shifts. 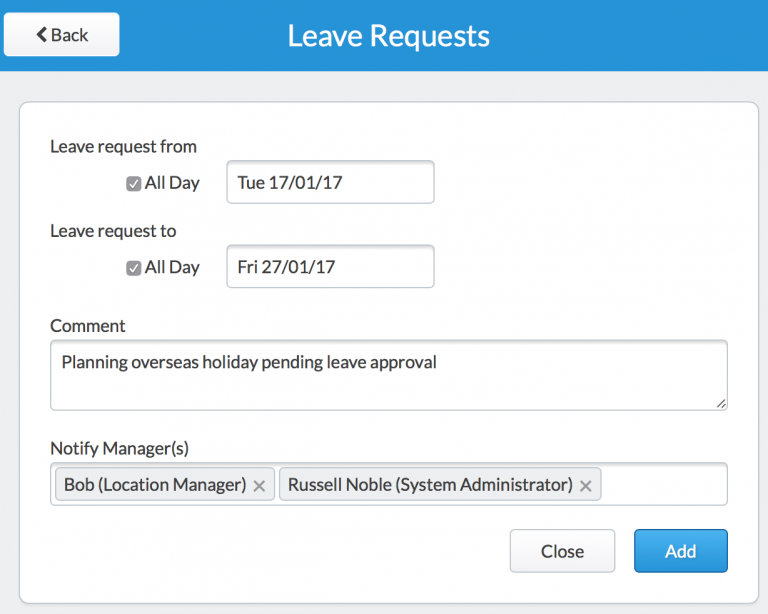 Alternatively, you can request to your manage to send an email and SMS when your shifts are published. 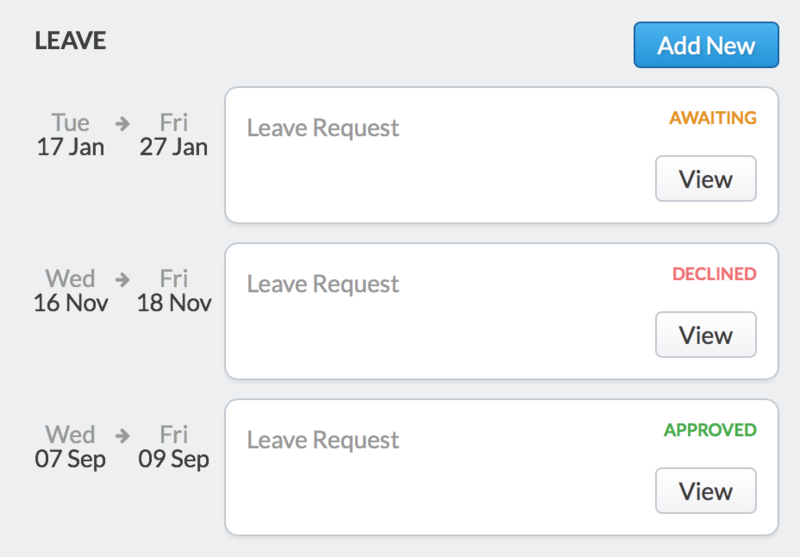 There are two ways to check your recent timesheets. You can go to the ‘Me’ tab, which will give you a weekly overview, including shifts that you’ve done, and shifts you are scheduled for later in the week. Alternatively, you can click your name in the top right hand corner, and when the drop down menu appears, click ‘Your Profile’. You can also check your recent timesheets via the smartphone app. Simply navigate to the ‘Me’ tab, tap ‘Timesheets’ and you will be able to view your recent timesheets. There may be cases where you have planned a holiday or a non-related work event. To ensure you aren’t scheduled in, here’s how to apply for leave or set unavailability dates. 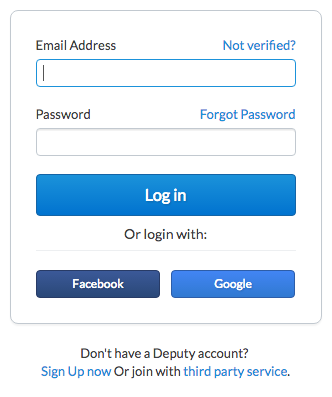 Log into your Deputy account via once.deputy.com. In the Navigation bar, click ‘Hello [your name] and a drop down box will appear. Click ‘My Profile’. From here, you will see your profile. Under your details are the ‘Unavailability’ and ‘Leave’ sections. Click ‘Add New’, enter the details for leave and press ‘Add’. 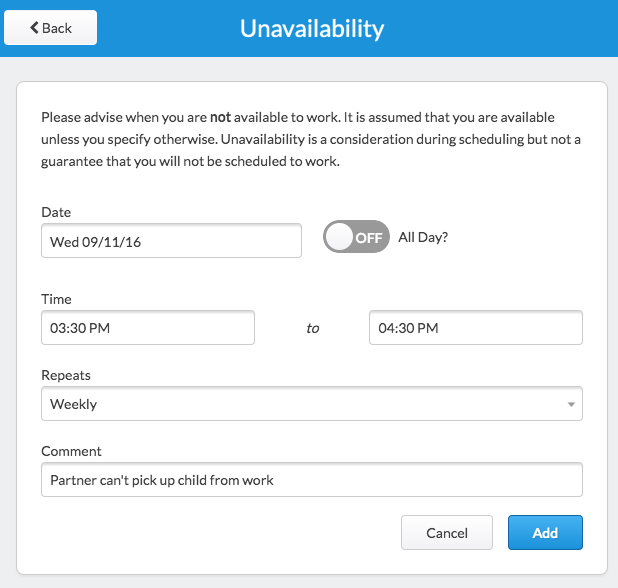 Under Unavailability, you can choose a specific date, and if it is a recurring date that you will be unable to work. For example, if caretaker responsibilities only occur on a Friday every week, you can set this to occur Weekly. You can also set up a time frame on the day you are unavailable. While this does not guarantee that you cannot work, it means that the time/date you’ve applied for will be placed under consideration when they work out the next schedule. The Leave page looks much like the Unavailability page with a few important differences. 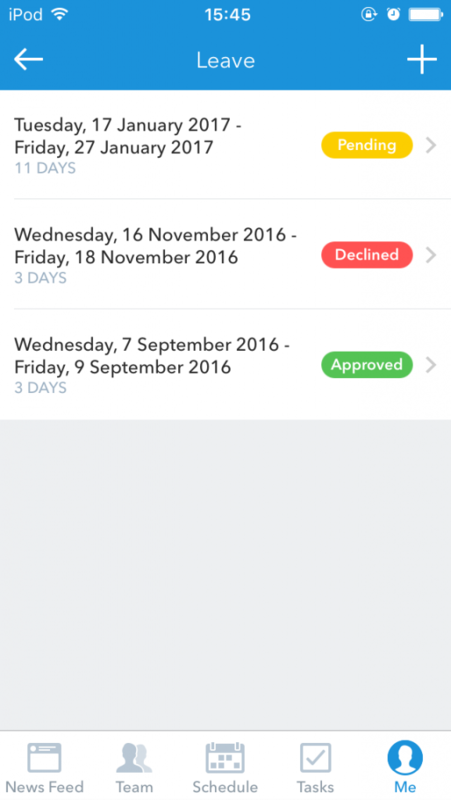 When applying for leave, you cannot have it happen weekly, like you can for Unavailability. You must also enter the manager’s names whom you wish to notify. This is because the leave request can be Approved or Declined. The manager can also leave a ‘note’ in your request once it’s approved or denied to explain why it was or wasn’t granted. 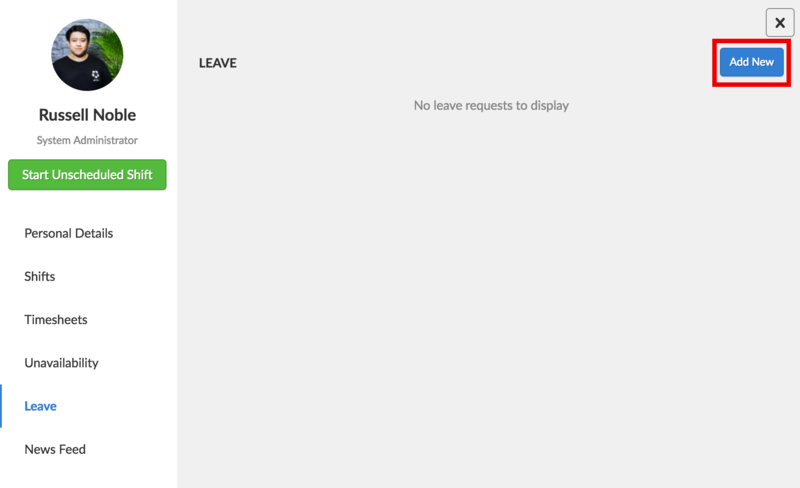 Applying for leave and setting unavailability on your smartphone app works the same as the web browser. Simply navigate to the ‘Me’ tab and scroll down to the ‘Time Off’ section. Now tap on the appropriate button (Leave or Unavailability). On the next page, tap the ‘+’ icon in the top right corner, enter the leave details and submit the form.